Energy drinks have transitioned from being a niche product to one of the fastest growing beverage choices in the world. In 2017, the global energy drink market generated $55 billion, and is projected to grow at a compound annual growth rate of 3.7% from 2018-2023. However, as the number of beverages sold increases daily, so do health concerns. Energy drinks are different from sports drinks in that they add stimulants like caffeine and herbal supplements such as guarana and bitter orange. Unfortunately, as athletes and non-athletes find themselves revved up and energized from that drink, they come to rely on them more and more for the energy high. As one’s tolerance for caffeine ratchets up to higher levels, drinks are consumed more often, or are replaced by drinks that provide even higher levels of caffeine. Caffeine is a strong and potentially dangerous stimulant, particularly for children and adolescents. It is produced in the leaves and seeds of plants. It can also be made artificially and added to foods or drinks. Caffeine is classified as a drug because it stimulates the central nervous system, causing a temporary energy boost, mood elevation, and increased alertness. It can be helpful for people who need a “pop” of energy to keep them on their toes, at least for a couple of hours. It works by blocking adenosine, a chemical in the body that tells you to shut down when you are tired. Caffeine is found naturally in coffee, tea, and chocolate. It is added to soft drinks and energy drinks. Caffeine is considered safe in moderate amounts. For an adult, 200-300 milligrams is considered average. Teens should consume no more than 100 milligrams per day and kids should get even less. What happens if you are consuming too much? 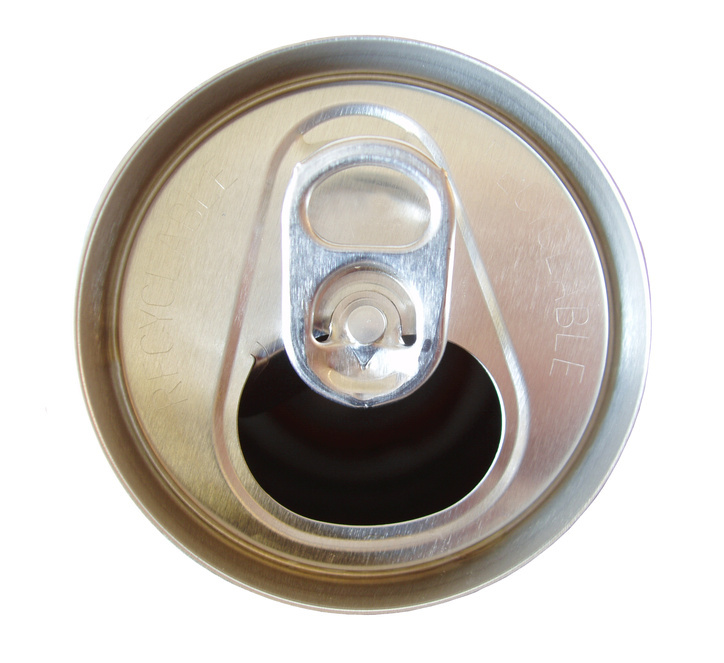 Over the last decade, the number of ER visits related to energy drink consumption doubled. In 2017 alone, 20,000+ trips to the ER were attributed to energy drink consumption. Ingesting large amounts of caffeine can cause problems such as heart rhythm disturbances, increased heart rate and blood pressure, heart palpitations, anxiety, sleep problems, digestive problems, and dehydration. Consumers need to educate themselves and their families on the dangers associated with energy drinks. Adults perceive them as healthy beverage options for themselves and their children, but children have not had the luxury of time to build up a tolerance for caffeine. Are Sports Drinks, Energy Drink, Vitamin Waters Necessary? Need more energy? Have this energy drink. If you are playing a sport, you need a sports drink. Really, do we need sport or energy drinks, vitamin waters, or fruit flavored drinks? The advertisers claim we need them. What is truth and what is hype? •	Sports drinks are not necessary unless you are engaging in continuous, vigorous activity for more than 60 minutes in hot weather. 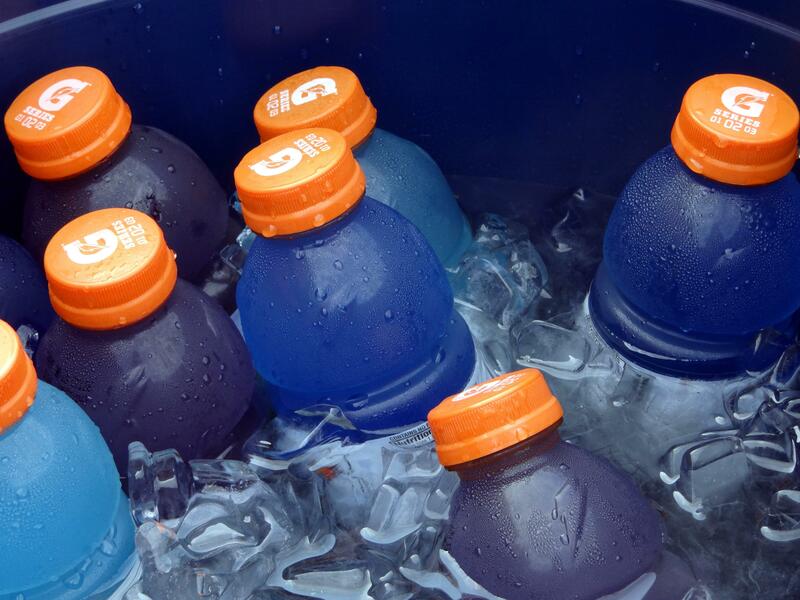 Most sports drinks have lots of sugar and calories. Most of us don’t need the extra nutrients, electrolytes and/or protein as your diet usually provides what is needed. Water is the best drink for rehydrating, which is what your body needs. Sports drinks increase the risk of obesity, metabolic syndrome, dental caries and cardiovascular disease. Low-fat or fat-free milk can be a better option to drink when engaging in sports or physical activity to regain what you have lost. •	Energy drinks are not needed and may over-stimulate the cardiovascular and nervous system causing some detrimental effects. 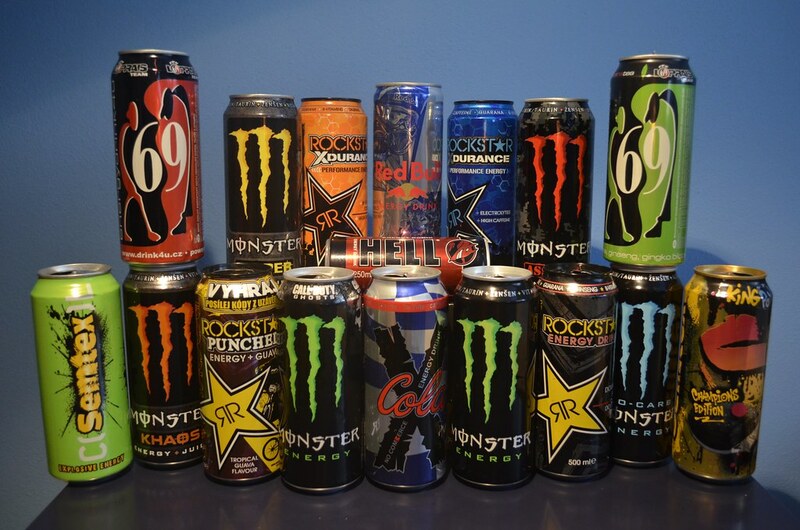 Most energy drinks have high amounts of caffeine and other stimulates. Energy drinks can be dangerous for people with unknown heart issues. Energy drinks are not safe for youth. In fact, studies have shown youth who drink energy drinks are less able to concentrate and may have a slower reaction speed. Extra vitamins in energy drinks do not really help your body. Energy drinks have been associated with many health concerns such as increased blood pressure, sleep problems, seizure activity, heart arrhythmia and others. Avoid powdered caffeine which is very dangerous. •	Vitamin waters have added vitamins which are better obtained by eating vegetables and fruits. These drinks also contain added sugar and sodium. Don’t pay the high price tag for these which also increase the risk of obesity. Eat a healthy diet and drink water. •	Fruit flavored drinks tend to be high in added sugar and other ingredients. Some of the herbal fruit flavored drink ingredients have not been researched on children. These drinks also increase the risk of obesity, metabolic syndrome, dental caries and cardiovascular disease. 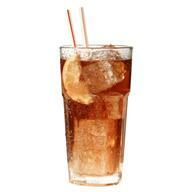 •	Sweetened teas and coffee drinks have added sugar and carry the same health risks as sports drinks. They also can cause sleep disturbances and nervous problems in youth and adults. Beverage manufactures are trying to convince us that they are providing us with “ready-to-go” attractive beverages. Most of the health claims on the bottles cannot be proven true and the added sugars increase the risk of diabetes and obesity. Drink water! It is the best drink. Other recommended choices include nonfat or low-fat milk and 100% fruit or vegetable juice in small amounts. Eat a healthy diet, and you will have the vitamins and minerals you need to stay healthy. Some research on the consumption of energy drinks on youth and their effects have been released. These indicate the need to educate our youth about energy drinks. Question: Most energy drinks contain large amounts of caffeine. Caffeine has been thoroughly tested and deemed to be safe for adults by the U.S. Food and Drug Association along with many countries around the world. Energy drinks can provide a temporary energy boost due to the amount of caffeine in them. For most people an occasional energy drink is fine. However, consider why you need them. You are better and healthier getting your energy by having adequate sleep, being physically active, and eating a healthy diet. Caution: Too much caffeine can lead to nervousness, irritability, insomnia, rapid heart beat, increased blood pressure. Mixing energy drinks with alcohol can blunt the feeling of intoxication which can lead to more alcohol-related injuries. Recent research on the effects of energy drinks on children, adolescents and youth adults have showed some serious adverse effects such as seizures, diabetes, cardiac abnormalities or mood and behavioral disorders can a occur. Many energy drinks are high in calories which can also increase the risk of obesity. Many parents may think that energy drinks are equivalent to soda or sports drinks. But soda can’t contain more than 71 milligrams of caffeine in 12 ounces, and energy drinks do not have any limits. Some energy drinks are higher than 300 milligrams of caffeine in 8.4 ounces. Germany has reported that outcomes linked to consumption of energy drinks by tweens and teens have included liver damage, kidney failure, respiratory disorders, agitation, seizures, psychotic conditions, high blood pressure, heart failure and disruptions of heart rhythms, among others. Energy drinks do not have any therapeutic benefits and may put some youth at higher risk for serious health problems. No safe levels of consumption of caffeine have been established for children, adolescents and young adults. Stop: Many energy drinks also contain other substances including guarana which contains caffeine. However, manufacturers are not required to list the caffeine from other ingredients including guarana on their label. Thus, the actual caffeine dose in an energy drink can be higher than what is listed on the label. According to Dr. John P. Higgins, assistant professor of medicine at The University of Texas Health Science Center at Houston, energy drinks may be especially dangerous during sports. Caffeine may interfere with coronary flow reserve, which may contribute to heart attacks and abnormal heart rhythms in athletes. When caffeine is mixed with taurine (commonly found in energy drinks) it makes the heart pound harder. Advertising of many drinks seem geared to youth. Help your child understand that they don’t need energy drinks, and they will be healthier without them. DO THIS: Encourage children, youth, and young adults to drink water and low-fat milk. These are good drinks to choose any time and also during physical activity.